A flood of new health care IT companies has been pouring into the U.S. health care market. The cause of this torrent: the recognition that as market and regulatory forces alter incentives in health care, IT companies will play a powerful role in combating the overemployment and declining productivity that has plagued this industry and in helping providers improve the quality of care. The dam broke in September 2007, when Athenahealth went public, the price of its shares jumping by 97% on the first day. Since then, the company’s value has risen to $5 billion. Athenahealth proved to entrepreneurs, software engineers, and investors that the health care sector is fertile ground for creating large technology-services companies that use a subscription-based business model to offer software as a service (SaaS). Despite its size and growth rate, the health care sector was long considered an impenetrable, or at least an unattractive, target for IT innovation — the entrepreneurial equivalent of Siberia. Athenahealth broke the ice by proving that it could sell SaaS efficiently to small physician businesses, get doctors to accept off-premises software, and achieve the ratios of customer-acquisition costs to long-term value that other sectors already enjoy. •The Great Recession led to a loss of 8.8 million U.S. jobs and big declines in demand throughout the economy (including health care services) — yet health care employment grew by 7.2%. That reality increased awareness that a decline in labor productivity was driving much of the excessive spending in health care. •The American Recovery and Reinvestment Act of 2009 included the Health Information Technology for Economic and Clinical Health (HITECH) Act, a $25.9 billion program to give doctors and hospitals incentives to adopt electronic health records. EHR adoption has now grown to nearly 80% of office-based physicians and 60% of hospitals, fueling many successful software start-ups, such as ZocDoc, Health Catalyst, and Practice Fusion. •The Affordable Care Act (ACA) requires that an enormous amount of data on cost and quality be made freely available. In addition, digital health applications, mobile phones, and wearable sensors, as well as breakthroughs in genomics, are creating truly big data sets in health care. These data contribute to greater market efficiency, more consumer-oriented products and services, and clinical care that is evidence-based and personalized. •The ACA has led to a proliferation of risk-based (rather than fee-for-service) payment models. For example, providers in accountable care organizations are rewarded for generating annual savings, and providers who use bundled payments get a fixed budget for an end-to-end course of treatment. Effectively responding to these changing economic incentives will increase reliance on software that helps providers manage population risk, understand costs and trends, and engage patients. These macro-level developments set the stage for other SaaS companies to follow Athenahealth’s lead in enormously improving labor productivity and quality of care. 1.Digital insurance markets, combined with ACA-enacted regulatory changes such as guaranteed issue and community rating, make it possible to price and sell health plans to anyone immediately. These developments will decimate the armies of brokers who act as intermediaries between customers and insurance services. 2.Price transparency, digital insurance products, and tools such as reference pricing make it possible to generate an exact price and instantly collect payment for a health care service. As a result, revenue cycle managers in hospitals and claims adjudicators in insurance companies will be displaced. 3.The inevitable shift to the cloud will render obsolete the costly, insecure data centers that most doctors and hospitals are now building, staffing, and running. 4.Adopting self-serve mobile applications will eliminate the forms, faxes, and excess staffing at many call centers, thereby improving satisfaction for everyone in the process. 5.Centralized clearinghouses that share information across organizations and state lines will eventually replace the byzantine, paper-based process of credentialing doctors, tracking continuing medical education, and keeping licenses up-to-date. That means smaller staffs in hospitals’ medical affairs divisions, health plans, medical boards, and state and local health departments. Given that wages account for 56% of all health care spending, improvements in labor productivity could generate enormous value. Simply reducing administrative costs could yield an estimated $250 billion in savings per year. As compelling as the prospective labor efficiencies are, the benefits of SaaS extend beyond direct labor costs. Easier access to data on physician quality, specialization, and adherence to evidence-based care will better match patients with doctors who provide high-quality, efficient services, thereby averting health complications for their patients. Moreover, software can help bring relevant clinical guidelines and personalized risk scores to patients and clinicians as they improve care plans, engage in shared decision making, and avoid duplicative services. Such efficiencies will, in turn, enhance how patients perceive and experience the care they receive. SaaS companies can trumpet all of these advantages, not just the employment savings they yield. •Attack economic inefficiencies in order to generate immediate, tangible customer return on investment. Witness how Castlight Health’s transparency tools are generating annual savings for employers and employees. And be clear about the source of the ROI, given that in most cases the revenue comes from another health care stakeholder who may be able to undermine the business. •Focus on building in network effects so that improvements made by one user enhance the product’s value for current and future users, just as Athenahealth does when it rapidly disseminates changes in payment rules at one provider to all other providers. Most SaaS businesses in health care IT cannot protect their intellectual property; so it is important to continually augment the value of the product to achieve scale. •Use software-enabled service models, rather than pure SaaS. For example, Grand Rounds’ software not only recommends an expert doctor for a patient but also collects, organizes, digitizes, and summarizes the patient’s records — and then books the appointment for the patient. In effect, the software makes it easier for patients to adhere to high-quality, cost-effective care, thereby enhancing the overall ROI for the product. It took Athenahealth a decade, from 1997 to 2007, to go public on the strength of its SaaS model. It took Castlight Health only six years, from 2008 to 2014, to do the same. Now an array of highly valued healthcare SaaS companies, each worth more than $100 million, is emerging. They include Zenefits, Grand Rounds, Doctor on Demand, Omada Health, Health Catalyst, Doximity, and Evolent Health. Indeed, Zenefits is one of the fastest-growing SaaS companies ever, regardless of industry, surpassing $500 million in enterprise value in its first year. The success of SaaS companies in health care is thanks, in part, to an influx of leaders from other sectors. They bring with them teams of technical talent that deliver consumer and enterprise software faster, better, and more cheaply than many legacy health care IT companies can do. Witness ZocDoc, founded by first-time entrepreneurs from McKinsey; Grand Rounds, founded by Owen Tripp, who cofounded Reputation.com; Zenefits, founded by Parker Conrad, who cofounded SigFig; and Doctor on Demand, founded by Adam Jackson, who cofounded Driverside (just to name a few). This type of cross-pollination is an essential ingredient of innovative change. The barriers between health care IT companies and IT in other industries are clearly coming down, and we expect the number of sector disruptions and billion-dollar companies to swell. As each innovation wave generates more data, disruption-cycle times will shorten, thereby forcing all players in the health care ecosystem to address inefficiency as they compete on quality and value creation. Those who fail to act will be washed away by the tide that lifts all other boats to greater productivity. The JASON Report created quite a fuss in the HIT marketplace as some screamed foul and others were encouraged that maybe, just maybe the JASON report may force movement to more open systems. To clear the air, the JASON Task Force (JTF) was formed to solicit industry feedback for policy makers. The JTF released their findings earlier this month. The JASON Report was an AHRQ- and HHS-sponsored study of healthcare interoperability issues. Its basic conclusion was that the existing EHR-based HIT infrastructure should be superseded by something more open and amenable to use by other applications and across organizations. The JASON Report advocated radical solutions to the interoperability crisis: using MU3 to replace existing EHRs and requiring a uniform set of APIs for EHRs across the industry. Vendor response was rapid and unified. HITPC appointed a task force representing stakeholders from across the industry (virtually all have been on other ONC workgroups, so somewhat cloistered) who worked with alacrity through the summer. The tone of vendor testimony before JTF reflected a level of alarm that contrasts sharply with HCO’s non-participation. JTF and its vendor members have some legitimate beefs: the JASON Report is not exactly disinterested. It substantially reflects the view of the clinical research community which sees itself as the long-suffering victim of EHR intransigence. The JASON Report glosses over genuine, if crepuscular, progress in healthcare interoperability. Another point that we believe has not been made forcefully enough by EHR vendors is that they are constrained by their HCO customer’s ability to change. The organizational obstacles to healthcare data liquidity are significant and EHR vendors move only as fast as HCOs despite their claims to the reverse. However, we think that JTF is wrong to deflect attention away from the EHR-oriented APIs. 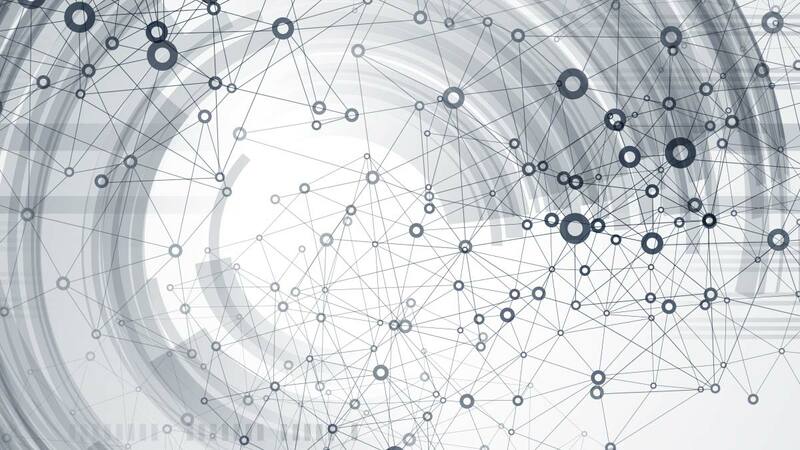 JTF’s proposed alternative to EHR supersession involves something it calls Data Sharing Networks (DSN). These are a rebranding of the HIE supplemented with a uniform set of APIs to support access to something never specified in much detail. JTF suggests that these APIs be based on the replacement to HL7 – FHIR. Without doubt, FHIR represents a significant improvement over HL7 along multiple dimensions. But the idea that FHIR alone can cure the interoperability ills of healthcare is all smoke. Behind this smokescreen, EHR vendors are hoping that people eventually lose interest or stop talking about interoperability. With this bit of redirection, JTF has basically let the EHR vendors off the hook. This begs the question: Where is the best place to have a uniform set of APIs reside, the DSN (HIE) or the EHR? The HIE is really a stopgap measure in the sense that discrete access to EHRs and other data sources across organizations via a uniform set of APIs and SOA will greatly reduce the need for an HIE. If applications could access all of a patient’s data directly from native data sources in different HCOs, there isn’t much point in maintaining separate and comprehensive CDRs at different sites in the overall healthcare system. But rather than move in this direction, the JTF favors the politically powerful EHR vendors at the expense of the HIE vendor community. No doubt creating a set of uniform APIs to EHRs would be costly. Upward and backward compatibility, a hallmark of every successful IT platform, requires deeper pockets than most EHR vendors can muster. But some EHR vendors are better positioned to support such APIs than others. Many hospital EHR vendors could make the investment. Smaller, community-focused, or client-server based EHR vendors and their customers though would struggle. Our HIE research has shown – year after year – that data flows downhill from hospital to community. Hospital-based EHR data is valuable to community-based clinicians. It is also extremely valuable to those hospitals to ensure that physicians in a community get discharge summaries to minimize readmissions and associated penalties. Hospital-based EHRs are a good place to start with uniform APIs. The reality is that community-based EHR data could also be better used in hospital settings to facilitate care. This is especially true as we move away from fee for service to more risk-based payments models. Unfortunately, facilitating data flows between community and hospitals is something we’ll be patching together with string, baling wire and duct tape for the duration. The JASON Report and subsequent JTF report have not moved the ball forward on this issue. It is our opinion that there is little that the policy folks in Washington D.C. can do with additional prescriptive meaningful use requirements. 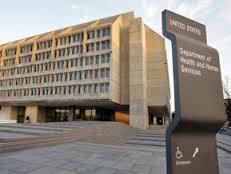 HHS would better serve the market by using financial incentives that promote healthcare organizations to demand better interoperability capabilities from their vendors as it is the customer that vendors really listen to, not D.C., policy wonks. Four commercial vendors will submit proposals Friday for the Defense Department’s $11 billion electronic health record system contract. But the Department of Veterans Affairs has backed off an idea floated by former VA Secretary Eric Shinseki to enter a new version of its own longstanding EHR system into the competition. Shinseki told lawmakers at a House Veterans Affairs Committee hearing in March that VA had started development of a new version of its decades-old and proven Veterans Health Information Systems and Technology Architecture – or VistA – that would be equivalent to commercial software. “We want to be in competition for [the] DOD [EHR],” Shinseki said. DSS Inc. and Medsphere both offer EHRs based on open source VistA software. The source code used by Epic is based on the underlying Massachusetts General Hospital Utility Multi-Programming System – or MUMPS – code. When fully deployed in 2017, the DOD health system will serve more than 400 clinicians who treat more than 9.6 million patients in some 400 hospitals and clinics, making it the largest EHR system in the country. The Epic system, used by Kaiser Permanente, and the VA health care system, which serves about 8.6 million patients, are the two other largest systems in the nation. A massive government procurement will speak volumes about the market share, and clout, of one lucky electronic health records system technology. The rest of the healthcare IT industry will be living with the ramifications of the Department of Defense’s decision for years to come. In much of tech, market share plays an outsize role in determining which standards get adopted. The dawn of the Internet was never supposed to be based upon TCP/IP, but instead on OSI protocols, which blue-ribbon committees carefully crafted to be the best possible foundation for open networks. But then TCP/IP grabbed all the market share and there was nothing left for the OSI protocols to do but fade into history. The same thing may be about to play out in electronic health records. While the Office of the National Coordinator reboots its various blue-ribbon committees, and struggles to adapt to losing its deputy, Jacob Reider MD, and the loan of its chief, Karen DeSalvo to the administration’s response to Ebola, a massive government procurement will speak volumes about the market share, and clout, of one lucky EHR technology. That procurement goes by the acronym DHMSM, commonly pronounced “dim sum” and short for the DoD Healthcare Management System Modernization. Final bids for DHMSM are due this Friday, on Halloween. Nearly 10 million active-duty military personnel and their beneficiaries will be affected by this procurement, which will replace and migrate data out of the incumbent Armed Forces Health Longitudinal Technology Application (AHLTA). Even though leading EHR vendors such as Epic and Cerner are competing for DHMSM, I did not initially think the DoD procurement would have much impact on the civilian market. But this isn’t the entire story. It turns out that about 60 % of the care provided to DoD beneficiaries is delivered in commercial hospitals, according to Jerry Hogge, deputy group president of Leidos Health Solutions Group, the prime bidder partnering with Cerner. That kind of statistic is all you need to know about why Epic and Cerner, among others, are grasping for this win. One can easily imagine regions of the country where civilian provider will want to be aligned with the EHR at military facilities nearby. And there can be only one DHMSM winner. But didn’t large, commercial EHR vendors get the U.S. into its current interoperability mess, requiring ONC to create a fix-it plan that will take 3 to 10 years, if successful? Well, yes. It’s a funny thing. Talk to each of these vendors and they will boast how many standards they support – HL7 and its Consolidated CDA document format, SNOMED, LOINC, IHE, the list goes on and on. And the DoD procurement calls for support of these standards as well. But as we’ve long since learned, mere support of a set of standards does not assure interoperability. Perhaps no more ridiculous example of just how ill-equipped today’s EHRs are as communication tools than the fact that Thomas Eric Duncan, the Ebola victim treated by Texas Health Presbyterian Hospital, accumulated a 1,400-page electronic medical record over the course of his treatment. All the standards in the world could not correct deficiencies of EHR technology which often presents too much information. Although the EHR (in this case, Epic, but it could have been any number of others) did its best not to present all 1,400 pages at once. Presenting the right information at the right time is tricky at best. Committees are not the crucible of the breakthrough technology for which technology is best known. Standards alone did not create the iPhone. Skeptics fear, with some justification, that the ONC 10-year roadmap, or DoD’s procurement, expected to be awarded next year, will produce a camel – a horse designed by committee. But is that fair? Camels are pretty useful animals, after all. Also hanging over the DoD procurement is the fresh memory of last fall’s bungled healthcare.gov rollout. Inside-the-beltway operatives managed to snag the contract while a disjointed team of federal agencies failed to coordinate their efforts, and we all saw the result. In fact, the DoD tried and failed to jointly procure a new EHR system with the Department of Veterans Affairs, and despite spending $1 billion and five years of effort, it was utterly unsuccessful. Considering the other troubles the VA’s scheduling system had, some critics can be excused for condemning the old-style DoD procurement and demand outright privatization of both DoD’s healthcare system and the VA. Moreover, amalgams of public and private initiatives bring the kind of creativity that built the Internet. Or have we forgotten the role the National Science Foundation played in doing that? For that matter, there is a team bidding on a commercialized version of the VA’s VistA EHR as the potential DHMSM winner. Among the features of the VistA-based entrant are “federal-grade security, military-grade cyber-threat detection and response,” says Dan Garrett, principal, health industries & leader of the HIT practice at PricewaterhouseCoopers, which is leading the VistA-powered bid. Unbeknownst to many, open-source-based VistA is deployed at numerous civilian hospitals, and has its own industry consortium, OSEHRA, promoting innovation on top of existing software. General Dynamics is supplying IT expertise, and DSS, which has worked with the VA for years on enhancing VistA, has implemented a modern user interface on top of VistA. Some industry analysts believe PwC’s bid has an edge, because a core requirement of DHMSM is to have seamless interoperability between the DoD EHR and VA’s implementation of VistA, as active-duty personnel retire and enter the VA system. Is It Truly Open Source? Then there is the issue of the open-source nature of VistA. Critics point out that open source is not the same as open standards. Open source is a licensing arrangement that permits customers to see and modify the source code of the software. Most software outside of Microsoft (and even some within) contains at its core some open source-derived code – even the iPhone. VistA has a lot more in common with Linux than it does with Apple, though, since companies such as Apple layer millions of lines of proprietary code on top of or aside open source. I recently learned that every Epic customer has the ability to inspect Epic’s source code. But that is not an open source license, since those customers cannot modify the code in any way that can be shared without Epic’s express permission. They would be in big, big trouble if they tried. Therefore, VistA proponents are banking on its open source licensing to permit a level of innovation simply not possible on top of Epic, Cerner or other proprietary EHRs. There is also a problem when the work of agencies such as the VA only makes it partway into the standards world. The VA created an application called Blue Button, which makes it easy for VA patients to download their records. Unfortunately, ONC only championed the idea of patient access, not specific data formats so that the downloaded data could become a standardized platform upon which innovation could flower. When ONC tried to champion a standardized Blue Button, known as Blue Button Plus, specifying the data formats, EHR vendors didn’t adopt it, probably because it would have helped commoditize their EHRs. DoD, for whatever reason, does not appear to be requesting Blue Button Plus, only the earlier Blue Button. Therefore, the DoD has minimized the amount of clout it could wield in the interoperability space, and yet it still faces a difficult choice. Try to go with a market-share leader such as Epic or Cerner, and enjoy whatever interoperability that brings, or go with the VistA solution which trails in market share (outside of the VA that is) and unleash the innovation so badly needed to avoid the next 1,400-page Ebola care record fiasco. Go with the proprietary solution, and face what could be a difficult and costly mission of seamlessly integrating with the VA’s VistA, or go with the open-source solution, and face the costly mission of integrating with the leading commercial EHRs in the private sector. Either way, the rest of the healthcare IT industry will be living with the ramifications of the DoD decision for years to come. The Importance of a Nonpartisan Surgeon General – Richard H. Carmona, M.D. The Ebola crisis has metastasized to the United States, and the media and numerous government and private spokespeople are attempting to educate and calm the American public while not inflaming or confusing the situation. A single credible, trusted, nonpartisan voice is what is needed to educate and reassure America and the world. Recently, Surgeon General Jesse Steinfeld, the 11th surgeon general of the United States, passed away. His obituary heralded his many significant accomplishments as surgeon general and commander of the United States Public Health Service Commissioned Corp, one of the seven uniformed services of the United States. What was particularly striking and concerning and voiced in his obituaries and commentary about his life were references to Surgeon General Steinfeld having to fight and battle various individuals, groups and entities in order to promulgate health policy that would benefit the public he served. This prompted me to review the obituaries and commentary about other surgeons general who passed away in the last decade, including Surgeons General William Stewart (10th), Julius Richmond (12th), and C. Everett “Chick” Koop (13th). These descriptors often sounded as if the surgeons general were officers in a combat unit battling hostile adversaries as they attempted to survive in an increasingly partisan battlefield. The sad truth is they were. And in some cases the surgeons general succumbed to the lethal wounds of political warfare where resuscitation is rarely possible. Warfare that public health professionals are stilling battling today. Surgeons general of the Army, Navy, Air Force, and U.S. Public Health Service were always career uniformed officers who merited consideration for promotion and advancement by their seniority, accomplishments, demonstrated leadership, education, and training. The White House would receive recommendations from the respective uniformed service chiefs and the president would then recommend names to the Senate for confirmation as a surgeon general with the rank of vice admiral or lieutenant general, depending on the service. This tried and true process, over a century old, still exists in the all of the uniformed services except for the U.S. Public Health Service. Since the late 1960s and early 1970s [1,2], various political administrations have gone outside of the USPHS to identify and nominate candidates who were believed to be more politically aligned with the political party in power at the time. By doing so, they demean the service of career USPHS officers who are qualified but who are passed over due to attempts to align science with desired political platforms. Interestingly, these attempts at prospectively attempting to identify politically-aligned surgeons general nominees have usually failed and caused frustration for leaders in both political parties over the years, since all surgeons general come to understand that you are the doctor of the nation and not the surgeon general of the Republican or Democratic party . In addition, those outside nominees, if confirmed, are immediately promoted to vice admiral even though some have no military or uniformed service experience. This process is offensive to all career officers who selflessly sacrifice throughout a long uniformed service career to merit consideration for promotion as an admiral and Surgeon General. This politically motivated action also diminishes the credibility of the Office of the Surgeon General. It is also apparent that not every physician is capable of being Surgeon General. 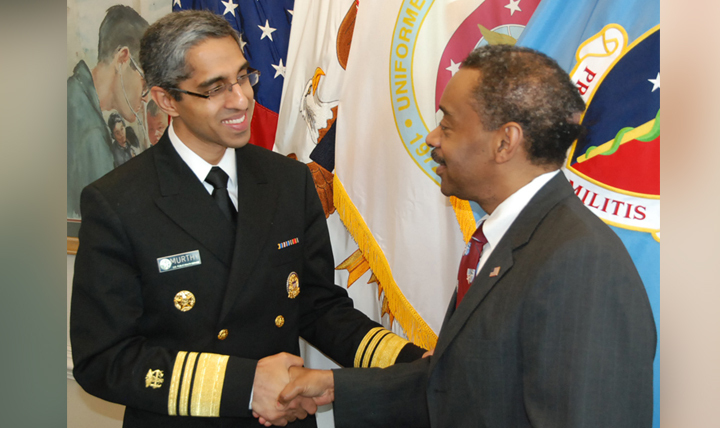 An example would be the current nominee for United States Surgeon General who is very early in his professional career, with great potential but without significant progressive leadership experience or specific public health education or in-depth experience with complex policy, global, and public health issues. However, he was the co-founder of Doctors for America, a partisan organization supporting President Obama. In a recently published book, Surgeon General’s Warning by Mike Stobbe4, he painfully discusses the gradual political demise of the United States Surgeon General and suggests that therefore, it may be time to end the position. As much as I appreciated Mr. Stobbe’s scholarly work, my review of it leads me to a very different conclusion. We should actually act to strengthen the Office of the Surgeon General by protecting it from political manipulation. In our hyper-partisan political world characterized by gridlock and great political poetic license in the interpretation of science to support preconceived political biases, who will have the responsibility to speak scientific truth to power? Who will provide the scientifically based “informed consent” to the American public and at times, the world? Eliminating or allowing further diminishment of the Office of the Surgeon General to occur is not in the best interest of the American public, although it may benefit politicians. In July 2007, I joined Surgeons General Koop and Satcher to testify before a congressional committee investigating the attempts at politicization of the Office of the Surgeon General5. Three Surgeons General serving four separate presidents, from the very liberal to the ultraconservative administrations, all testified on the issues challenging them during their tenures. The Surgeon General testimonies were remarkably similar and a clear bipartisan indictment of the attempts to manipulate science and diminish the Office of the Surgeon General. Unfortunately, Congress took no action on this unprecedented testimony that they themselves had requested. • Return to nominating the United States Surgeon General from the cadre of career USPHS officers based on merit and core competencies and not politics or patronage, just as the U.S. Army, Navy, and Air Force do. • The Office of the Surgeon General should have a separate budget that is free of political interference and be legislatively protected, a model like the Federal Reserve Chief. • The United States Surgeon General, on an annual basis, should be mandated to give a public State of the Nation’s Health and Global Health address which is based on current scientific facts so that prudent national policy may then be generated by the President and Congress and political leadership can then be held accountable for their actions or inactions. The United States Surgeon General should still be held accountable by the chain of command, as are all uniformed service Surgeons General; however, accountability should be based on honesty, integrity, leadership and the unwavering pursuit of scientific truth — and not on political partisanship. It is clear that our nation needs and deserves a strong, qualified, and nonpartisan Surgeon General who resides in a protected and well-funded Office of the Surgeon General. The people we have the privilege to serve deserve no less.